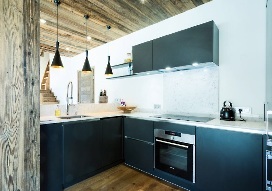 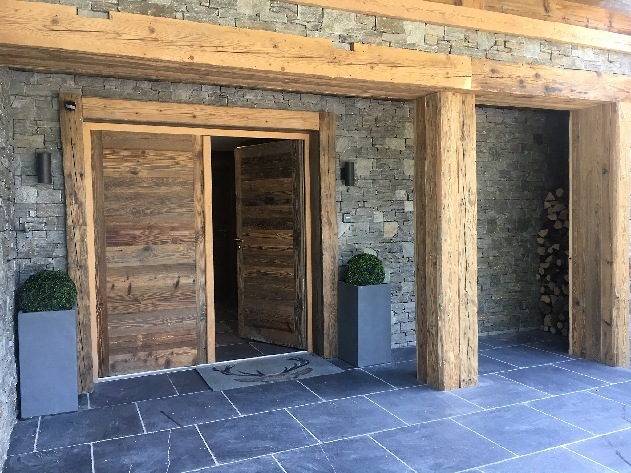 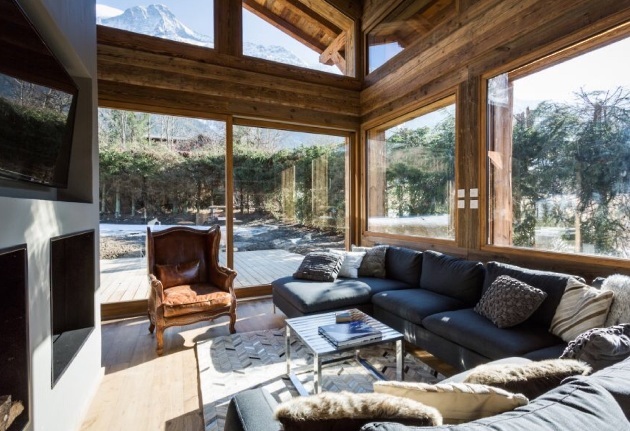 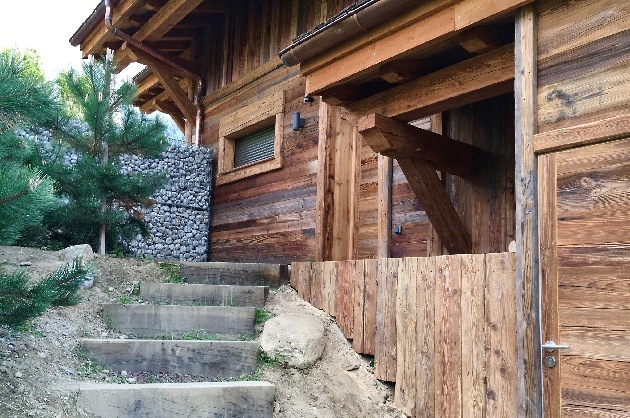 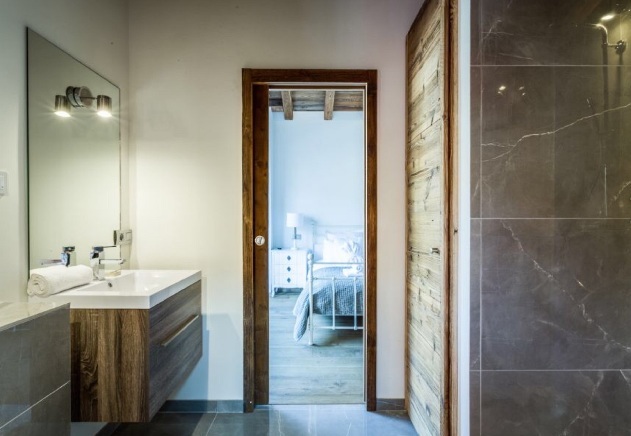 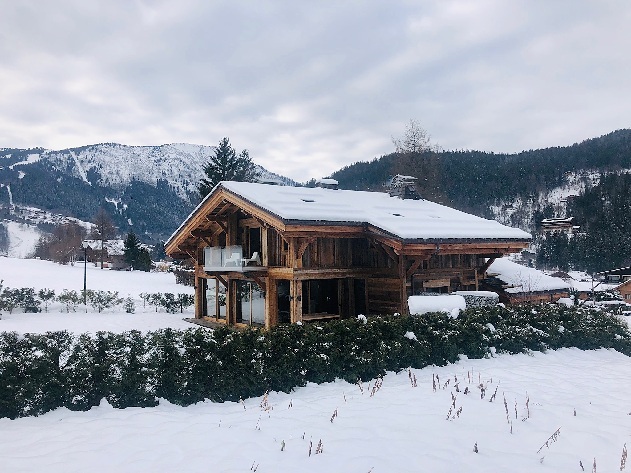 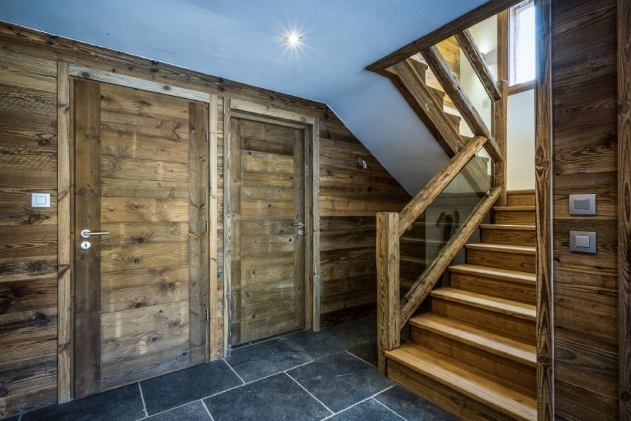 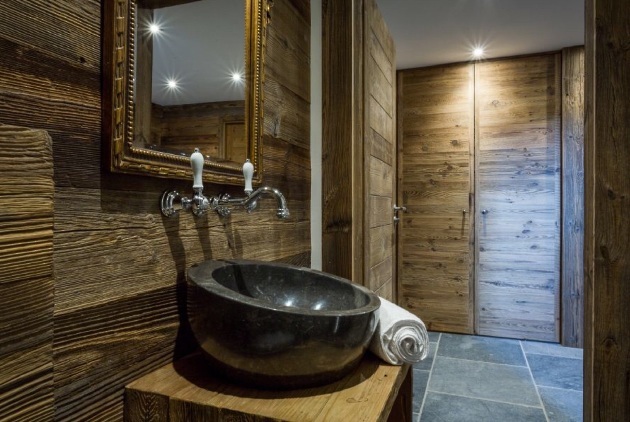 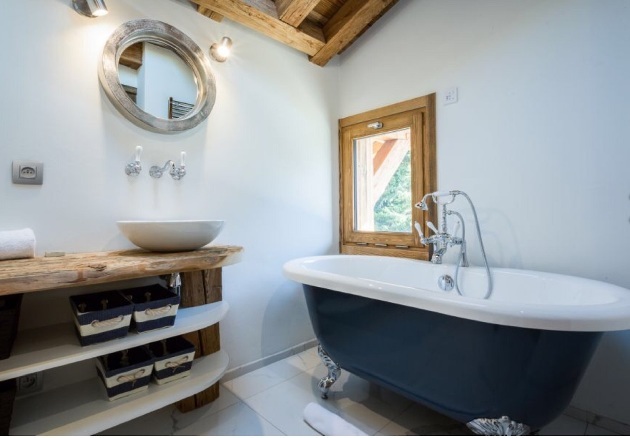 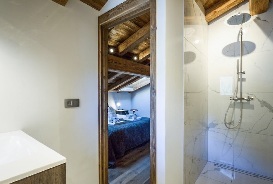 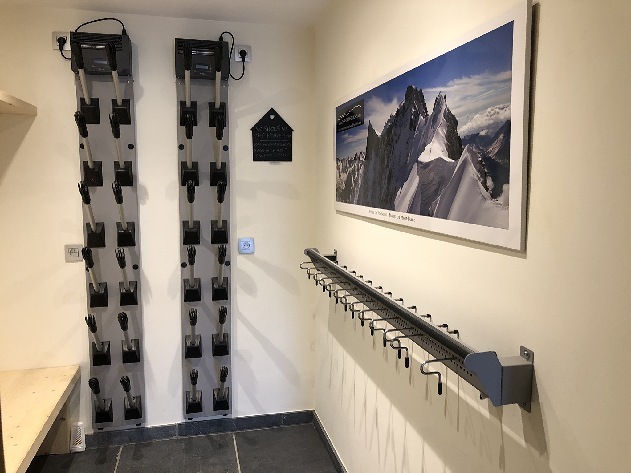 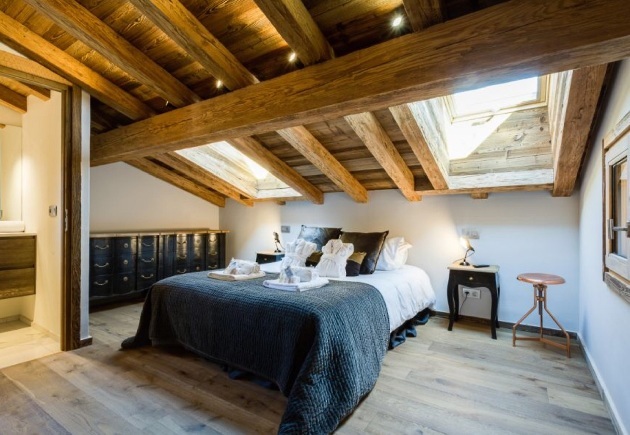 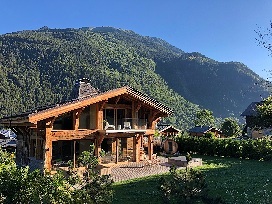 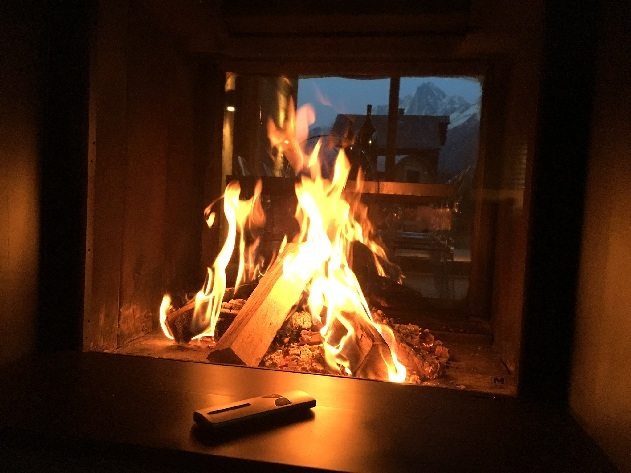 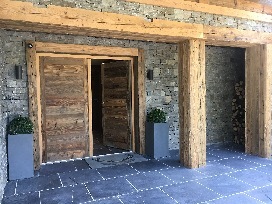 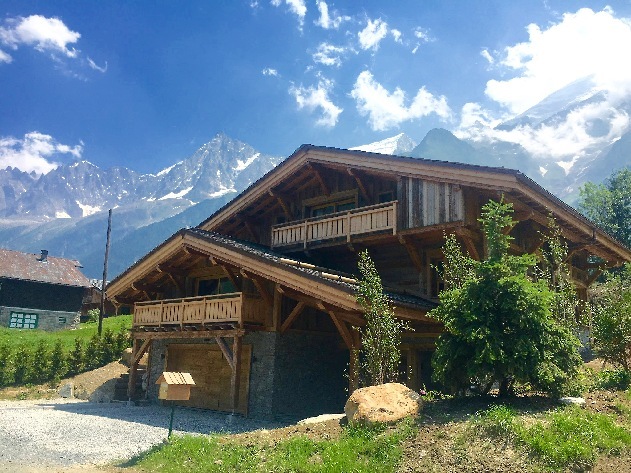 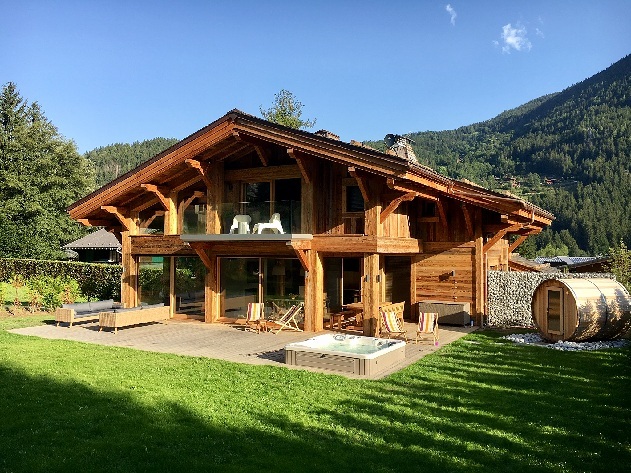 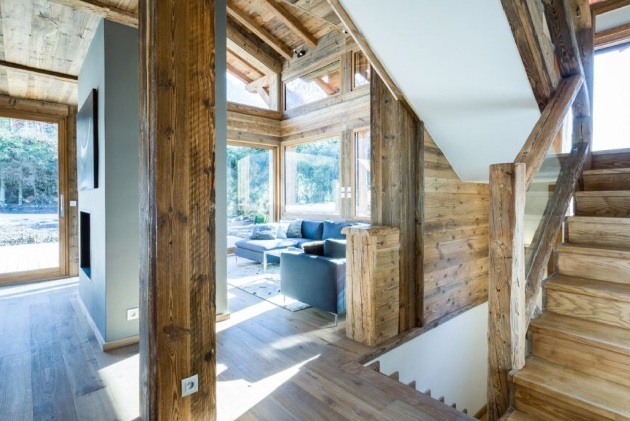 FORMING THE MAJORITY PART OF CHALET APHRODITE, CHALET LYRA CAN BE OFFERED AS A FOUR BEDROOM, FOUR BATHROOM SUPERIOR QUALITY CHALET IN AN ELEVATED, SECLUDED YET ACCESSIBLE SETTING. 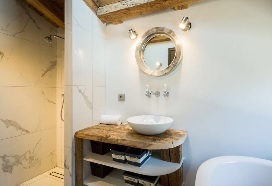 JUST A STONE'S THROW FROM THE HEART OF THE VILLAGE CENTRE WITH ITS SHOPS AND RESTAURANTS. 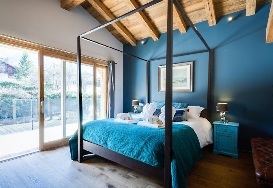 Le Grand Bleu: Master ensuite bedroom with kingsize four poster bed, glass balcony with stunning views of Mont Blanc, flat screen smart TV, dressing room, ensuite marble bathroom with walk in shower, freestanding bath, bespoke vanity sink unit, WC and heated towel radiator. Possible to add a cot to this room. Noir: Kingsize bed which can be divided into twin beds. Flat screen smart TV, plenty of storage and ensuite marble bathroom with kingsize walk in shower, vanity unit and WC. 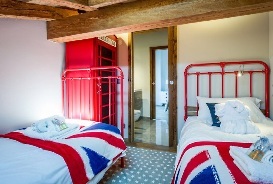 Possible to add a cot or additional bed to this room. Rouge: cute under eaves room adjoining family ensuite with two single beds, a fun red telephone box wardrobe plus own extra entrance via a mazot door and step ladder! 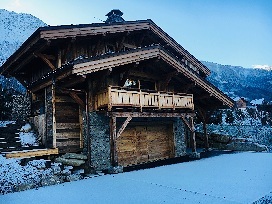 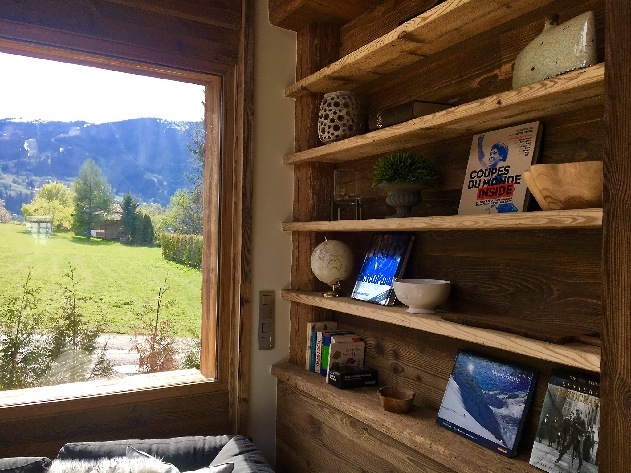 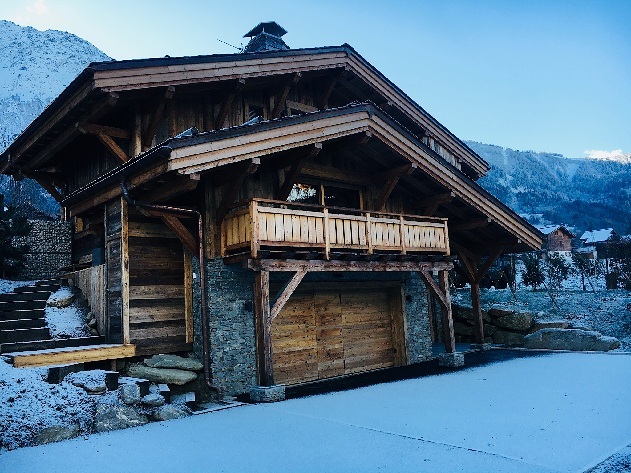 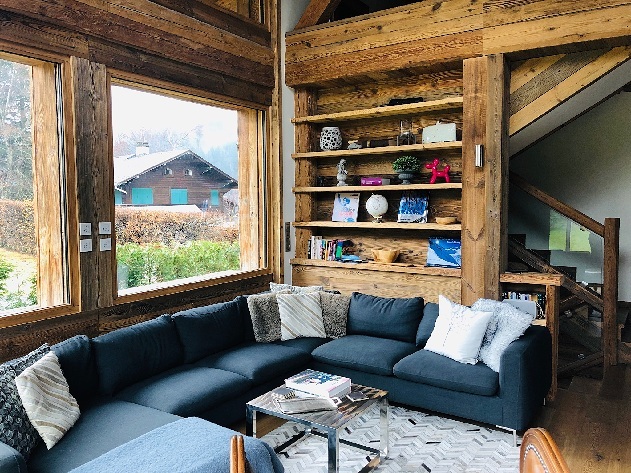 Set over three floors and measuring a generous 220 square metres, the chalet comfortably sleeps 8 guests in its four bedrooms with ensuite or adjacent bathrooms. 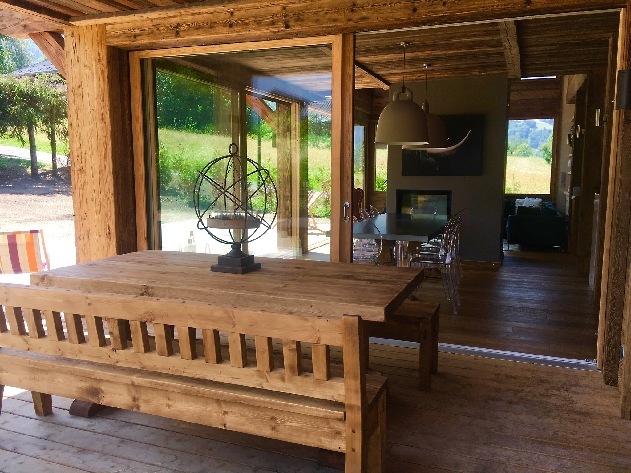 The main open plan living area incorporating the double sided remote controlled fireplace, large patio doors with double height lounge, dining area and kitchen spans 60 square metres alone. 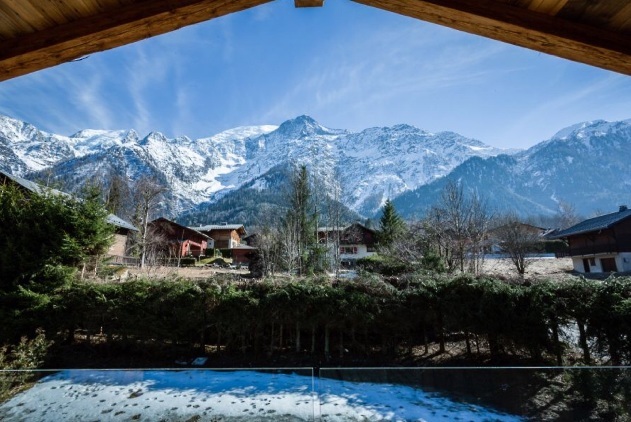 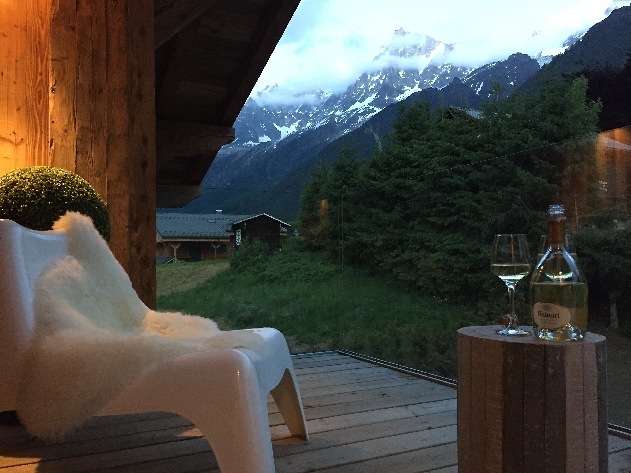 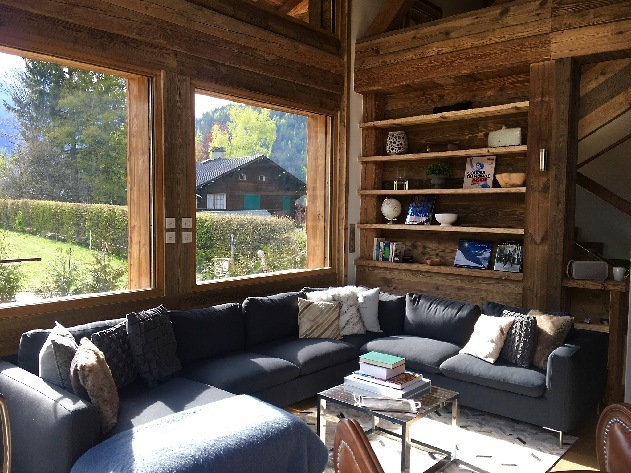 The full height glazing and open vista offer incredible views, including the magnificent Mont Blanc mountain range. Guests also love the dedicated ski room, additional laundry room plus downstairs WC with luxury walk in shower. 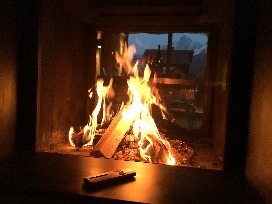 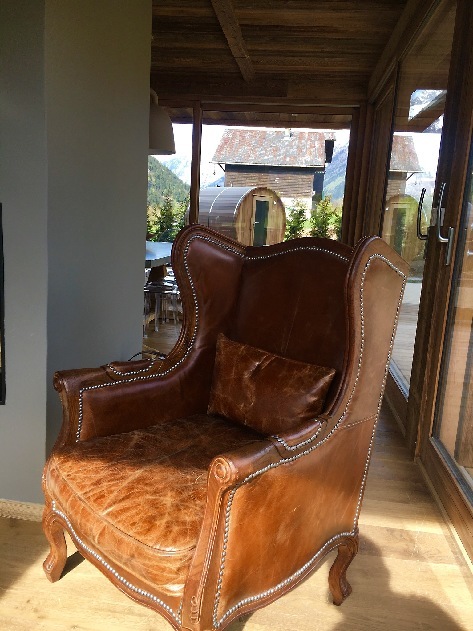 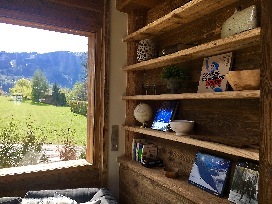 Click for Prices and Availability for Chalet Lyra now. Catering available if booked within 3 months for €90.00 per person for traditional breakfast, 3 course evening meal for 6 nights and afternoon tea. 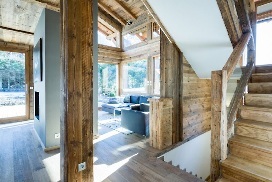 Minimum 6 people.